Furthermore, young Mr Tebow is rather good at the sport, having engineered some remarkable comebacks for his team the Denver Broncos – although they came unstuck against the New England Patriots 45-10 and won’t make the Super Bowl as a result. Not only that, my American friends are excited because he is a Christian. Born to Baptist missionaries in the Philippines, he has appeared in an advertisement for Focus on the Family, and is overt in owning his faith. Given some of the hysteria generated by Tebow Time, perhaps it’s actually time to nail some of the Christian myths about famous believing sporting heroes. If football players on opposing teams each pray to win does God choose who wins or does he just watch the game? Prayer doesn’t make a Christian win, or even a better athlete. There is no spiritual gift of sporting ability, and Christians have the same mix of natural talents that the rest of the population has. The place of prayer for the sporting Christian is in the request to glorify God in the way they participate. Winning isn’t guaranteed, nor is performance. Number two, and very dangerous, is the whole notion of celebrity. Tebow is in the public eye, and I hope his Christian supporters are praying for him. But there is nothing of intrinsically greater worth about the testimony of a famous Christian than that of you or me. It plays into the hands of all the unhealthy contemporary obsession with celebrity. And isn’t that a matter of idolatry, and broken idols at that? We build up these people in some kind of false worship, then watch their images smash. What’s more, your non-Christian friends who like American Football may well watch Tim Tebow with interest. But they will be watching your life more closely and more regularly. Rather than trumpeting a famous Christian, we should be considering our own witness, however quiet and humble it is. In a way, this ties into the idolatry issue. Were Shankly being serious, his words would be appalling. I like to think they were satirical. I love it when my team wins. I hate it when they lose. My son is worse. But what matters in the end? Tebow was asked if the glare of the spotlight this season ever became too much. That sounds like a guy who has got his head screwed on. The rest of us need to do the same. Today is not St George’s Day here in England. Not this year, it isn’t. The church calendar for this special season of the year takes precedence over saints’ days (we’ll overlook the dubious nature of George as a saint), and this year it’s relegated to 2nd May. So what is today – Easter Saturday? No, not that either. Easter doesn’t start until tomorrow. We’re still in Lent today. Easter Saturday is in a week’s time. It’s the day of waiting. Jesus is still in the tomb, so to speak. Hopes are still dashed. Darkness still covers over hope. 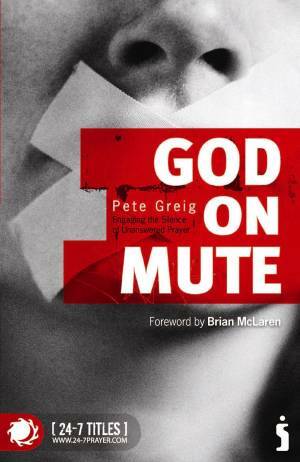 It forms a wonderful section in Pete Greig‘s book on unanswered prayer, God On Mute, where he recognises that this darkness is where many people spend much of their lives. We wait in the tomb of hopelessness, with our prayers seemingly unanswered or refused, not necessarily knowing that it is all going to burst out of the tomb in new and unexpected ways tomorrow. Greig quotes the poet R S Thomas, who says that God is ‘the darkness between stars’. So let’s not rush past today in the hurry to prepare for tomorrow. If we get a chance, let’s linger here. Because many people are – often against their will. Later tonight – after sunset – my Easter Day sermon will appear here on the blog. But in the meantime, let’s wait – especially with those who are living protracted seasons in Holy Saturday. Christ is risen! He is risen indeed! In this final Damaris Trust video for Holy Week, Krish Kandiah and Peter May talk about how Jesus’ resurrection from the dead gives us hope when considering what happens when we die. A great service for Easter Day at St Andrew’s this morning. ‘In a packed programme tonight’, as the Two Ronnies used to say, we had the Easter liturgy, renewal of baptismal vows, Holy Communion (of course) and people invited from the community to remember deceased loved ones. Emily is a great singer, Dan a quiet and efficient bandleader, Bradley filled in subtly and the drummer guy is top drawer. The other highlight was Lee’s sermon. Taking Mark 16:1-8, he made a virtue of the strange and sudden ending to Mark’s Gospel. He said we have to write our own ending to the Easter story in our lives. I thought that was great. For all that, it’s been quite a mixed day emotionally. On the one hand, I have entered Easter with a renewed confidence in the truth and importance of the Resurrection. Not that I ever lost my belief in the bodily Resurrection of Christ for one moment, but sometimes when life or circumstances aren’t the most encouraging, it can feel far away. Reading Tim Keller (sorry to mention him again!) and Tom Wright (see this excellent article from The Times yesterday) has done much to fortify my faith. Before the prayers of intercession, I reminded our congregation that for many the joys of Easter are still crowded out by their own personal Good Fridays. I know I have friends who will this week spend more time agonising in the Garden of Gethsemane (Jen and Mike, we are praying for you and Luke). For some, Easter is more like the women in Mark who hid when afraid. And as he mentions his friends Jen, Mike and Luke, so I have been thinking about the three couples I mentioned last Sunday who have separated. Some events today have reminded me of them. Debbie and I feel such pain for them. And if that is how we feel, how do they? More trivially, our eighteen-year-old cat is suddenly looking old, frail and weak. We are beginning to think the end might be near. The children realise, and on top of the fact that they have been asking questions about death as we’ve come through Holy Week, Good Friday and today. Mark in particular keeps asking whether he will die on a cross like Jesus. I’m also starting to get more regular questions about how much longer the sabbatical has to go. The answer is that – with having tacked a week’s leave onto the end – I shall be back on duty four weeks today. The official Methodist literature on sabbaticals talks about planning your ‘re-entry’, which rather makes ministers feel like Apollo astronauts. The idea is that there should be a managed, phased re-introduction to active ministry. Which makes me think of two words: ‘fat’ and ‘chance’. At least I hope it won’t be like my last sabbatical, when the superintendent asked me to come back early due to a crisis with the circuit treasurer. However, a sabbatical grants you new vision in all sorts of ways. It is then a huge challenge to share that vision with churches that are used to things being a long way different from such visions. I’ve always been a restless traveller on the outer fringes of Methodism: right now I feel somewhere out beyond Pluto. Of course, it may just be a version of what anyone feels when a good holiday is coming to an end and they have to return to work. (Not that I’m suggesting the sabbatical is a holiday!) Time will tell.